I grew up on Martha's Vineyard and, of all the places I've ever lived and visited, there is no other place that is like the Vineyard. 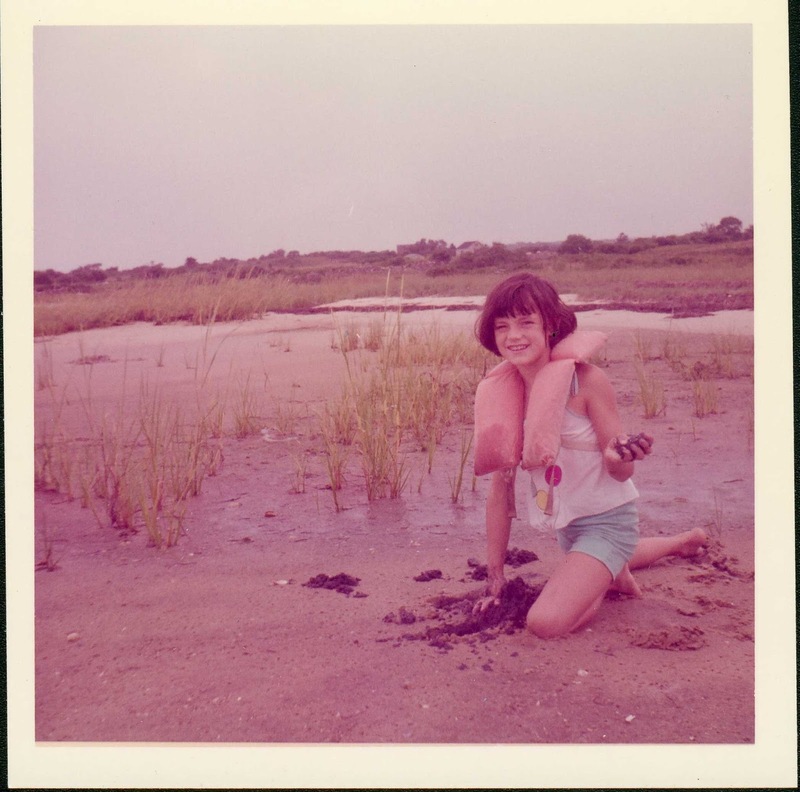 I came to Martha's Vineyard when I was eight years old with my family. We'd been living in a rather large city in Western Mass. Dad found a job there and our lives as a family were forever changed. While those are personal tidbits, they are not the reason you come to this blog. So here are a few interesting tidbits about Martha's Vineyard. It was discovered and mapped by Bartholomew Gosnold. He named the island in honor of his mother, Martha, and the abundance of wild grapevines. The Wampanoag tribe called it Noepe. It is the largest of the islands off the coast of Cape Cod, also named by Gosnold. There are six towns on the Vineyard. Aquinnah (known as Gay Head when I was growing up there but renamed and a more fitting name by the members of the Wampanoag tribe), Chilmark (which hosts the village of Menemsha), West Tisbury, Tisbury (also known as Vineyard Haven); Oak Bluffs, and Edgartown. In 1642 Thomas Mayhew settled in what is now known as Edgartown, and because of the Mayhews and their healthy relationship with the Wampanoag tribe, they didn't fight against the English in the King Phillip's War. Mayhew also went on to establish schools for the Wampanoag who were the first Native Americans to graduate from Harvard. Peter Folger was one of their teachers, and he was the grandfather of Benjamin Franklin. The whaling industry was huge on the Vineyard. Many of the ships and their captains were from Edgartown. The old Whaling Church in Edgartown speaks of the income and prosperity this industry brought to this village and Island. Here's a link to a picture of The Old Whaling Church Unfortunately it is not my picture so I can't post the picture here. There are five lighthouses on the Vineyard. Having grown up there, I didn't realize how rare these historical landmarks were. Here's a link to some great pictures of the lighthouses as well as some basic information on them. Another rarity on the Vineyard is The Flying Horses in Oak Bluffs at the base of Circuit Ave. It is the oldest running Carousel in the country. It was brought to the Island in 1884. I spent many a day trying to catch the golden ring as I would sit(stand when I was older) on the hand carved wooden horses, leaning over to catch a ring. As you got older the goal was to try and get as many rings as possible. The golden ring allowed you to get a free ride on the carousel. They sold cotton candy and other summer foods. Currently, a gal I grew up with and have been friends with since the fifth grade, manages the Flying Horses. If you're ever on the Vineyard pop in and say hi to Robin and tell her Lynn sent you. Oak Bluffs is also the home of the old Methodist Camp Grounds. It was a place where Methodist folks would come to retreat during the summer months. At first they would live in their tents. Gradually they started building Victorian Gingerbread Houses. Every year they host Illumination Night. When I was young we'd go and there would be lanterns on the ground with lines above your heads. Each child stood by a lantern, and when word was given from the Tabernacle, we'd light the Japanese or Chinese lantern and our parents would hang them on the lines. Each house was decorated with lanterns. The residents of the houses still hang lanterns, but the activity that happened when I was a child is no longer practiced. Here's a short film from a person's travel around the center of the campground around the tabernacle which isn't shown in the video. You Tube View of Camp Grounds It shows the styles of the ginger bread houses. There is a lot more to say and do on the Vineyard but I'll leave you with these few tidbits. My first published novel, Sea Escape, was set on the Vineyard. 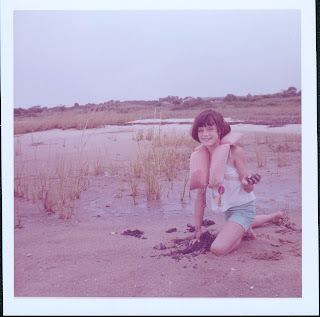 Below is a picture of me when I was 9, my first summer on the Vineyard, and I'm clamming at Menemsha Pond. If you like historical tidbits you might like to visit my blog: 19th Century Historical Tidbits. You can also follow me on twitter @LynnColeman or you can friend me on Facebook. "Courting Holly" is scheduled to be released in Oct. 2013. Thanks, Sharon. I'm certain you could tell I love the Vineyard. This was very interesting, Lynn. I always thought Martha's Vineyard was a town on the coast. I didn't realize it was a whole island with towns. I'd love to visit it one day. It's a great place to visit and live. I'll be going there at the same time as ACFW conference this year for my 40th high school reunion and I'm looking forward to it. I enjoyed this history on Martha's Vineyard Many years ago while vacationing in Cape Cod we took the ferry to Martha's Vineyard. Been to Cape Cod a few times since, but not over to the Vineyard again. But I remember the Methodist Camp Grounds and the carousel. There was a lovely inn we stay in at Gay Head and enjoyed excellent food. I seem to remember a spot called Land's End also. Our tour guide among other things mention the Vineyard was known for the cranberry bogs. Cranberry bogs on the Vineyard are small most are on the Cape but there are some on the Vineyard too. I'm trying not to be envious. I have always wanted to live by the sea. Thanks for this awesome post. I consider it a huge blessing to have been raised on Martha's Vineyard. When my husband went to graduate school in Kentucky I realize just how much I missed the ocean. I caught myself sniffing the air one night, thinking something was wrong. What was wrong was I couldn't smell the salt.